What’s up with the above? Say something smart in the comments about the implications of a mistake like this one. 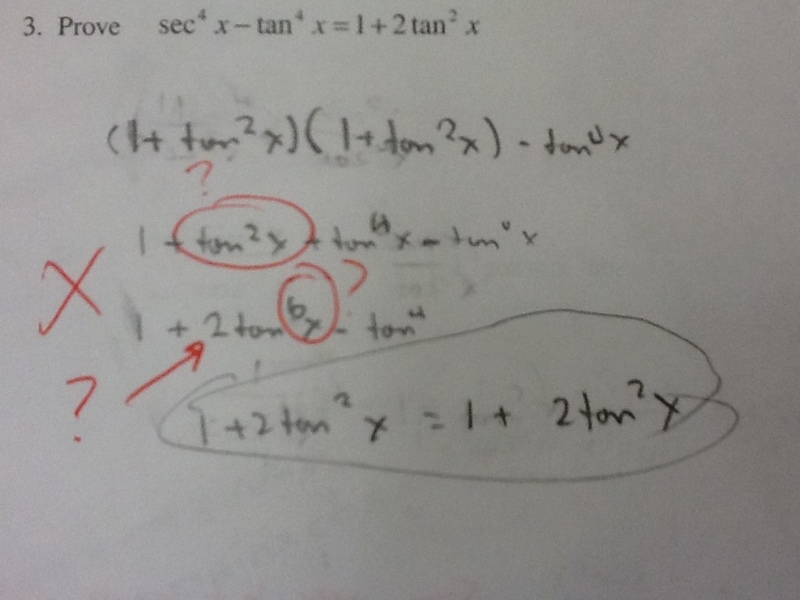 What’s another mistake that you would expect this student to make in the future? What’s a mistake that you wouldn’t expect the student to make? Thanks to Jonathan Newman for the submission. Posted in Feedback, Trig Identities, Trigonometric Functions, Trigonometry.